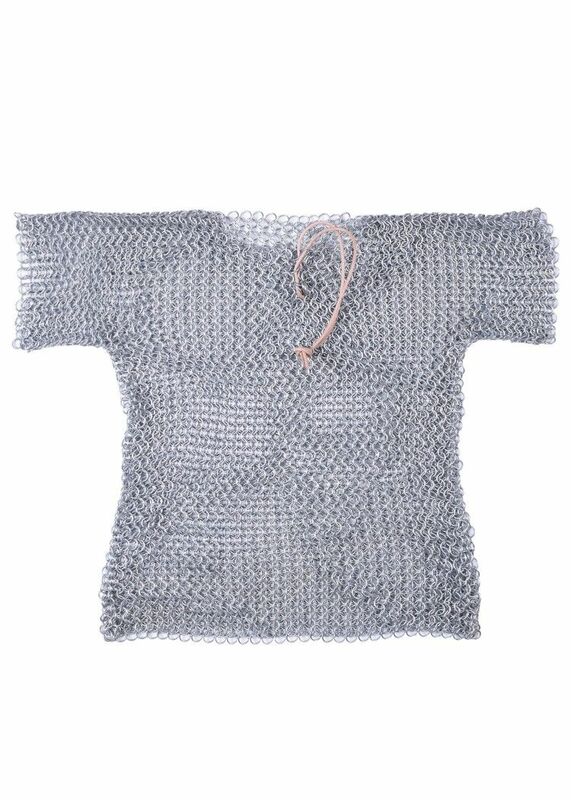 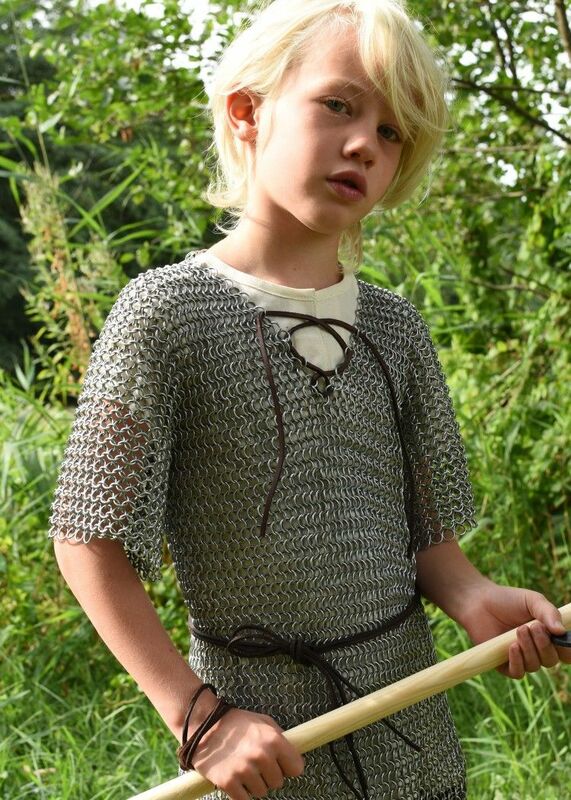 A short-sleeved chain mail shirt for children with a slit crew neck. 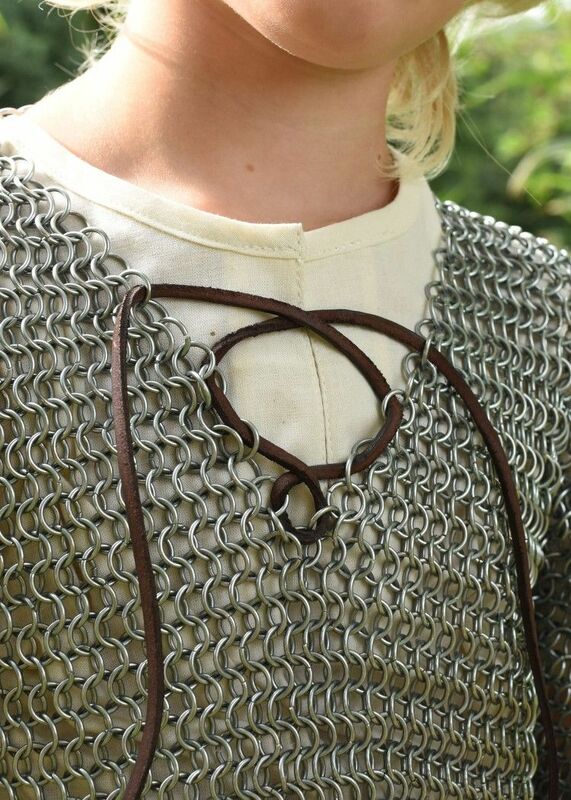 The open neck slit is closed with a light coloured leather strap (leather colour as in the last picture). 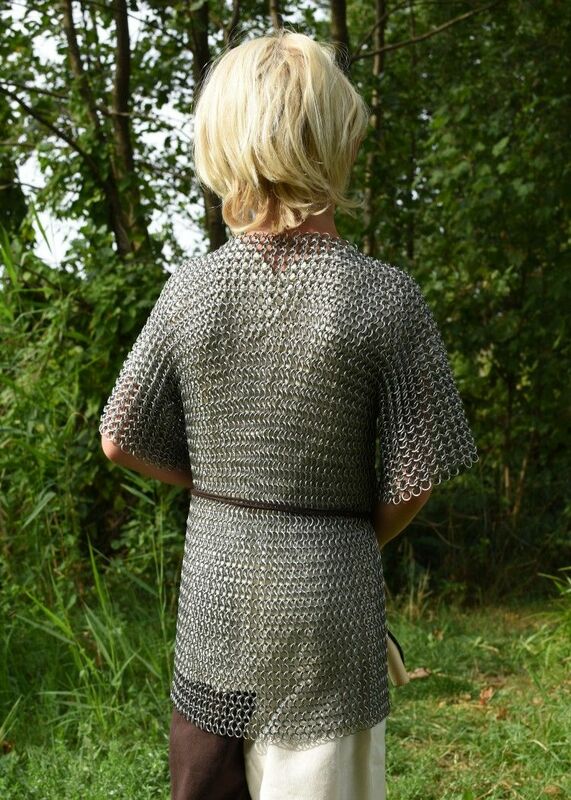 The leather strap is included.